Sleek looking Design is functional, stylish, and durable. Hydrate and Safely Store Valuables all at the same time! 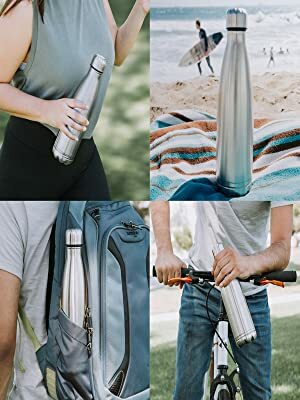 At the beach, at the gym, on the plane, the Stash-it Diversion Safe Stainless Steel Water Bottle is a must-have for anyone that is wanting to keep their valuables safe. 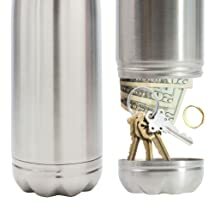 Unlike other can safes, the Stash-it can safe also works as a drinking bottle so it is truly unique. There is nothing else like it on the market! When in doubt where to hide it, STASH-IT! 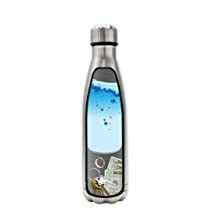 2 IN 1 - Your Go-TO water bottle and diversion safe ALL IN ONE! Take it with you EVERYWHERE! 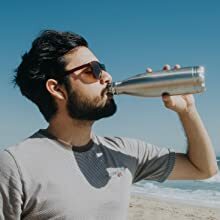 Everyone is using stainless steel water bottles these days, nobody will know yours is also a diverion safe! 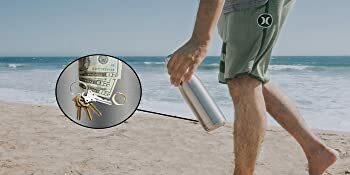 Easily store money, rings, watches, necklaces, keys, and anything else of value!! Store other items that you want to hide as well! 16 oz on top, 2.5" x 2.5" on bottom. Well-Balanced! 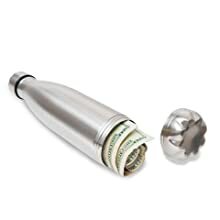 Store Money or just anything you may want to hide!